Bismarck survivors. 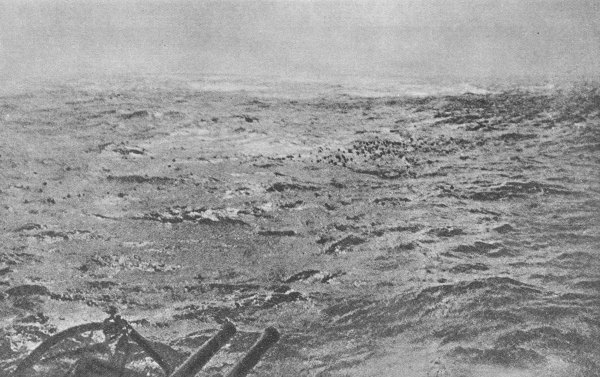 Hundreds of German sailors trying to reach the cruiser Dorsetshire after the sinking of the Bismarck. Photo: Keystone. Read more about this photo here.